Wolf-Hirschhorn compromises Liam’s growth, causes global developmental delays, and presents unique facial features. 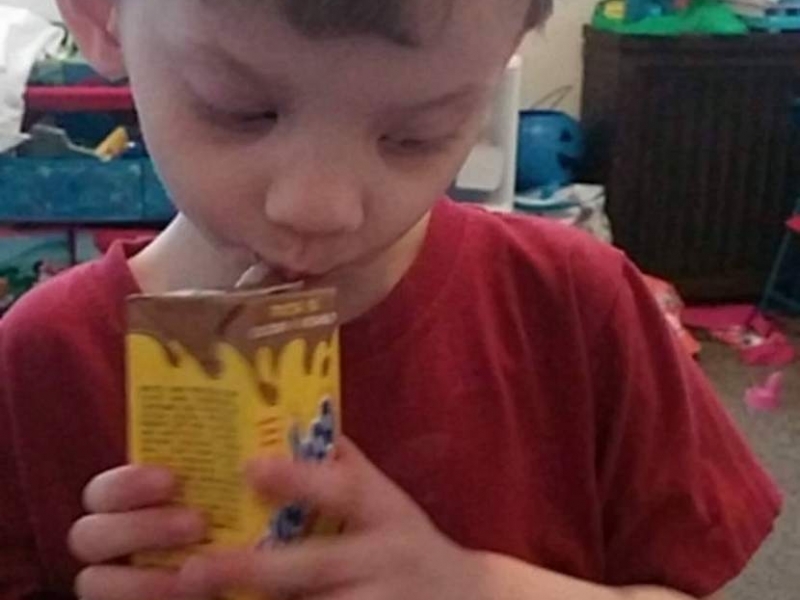 Liam is non-verbal and doctors aren’t sure if he’ll ever speak. He is also epileptic, has weakened immune system, and is a poor eater so he is prone to sickness and very small for his age. 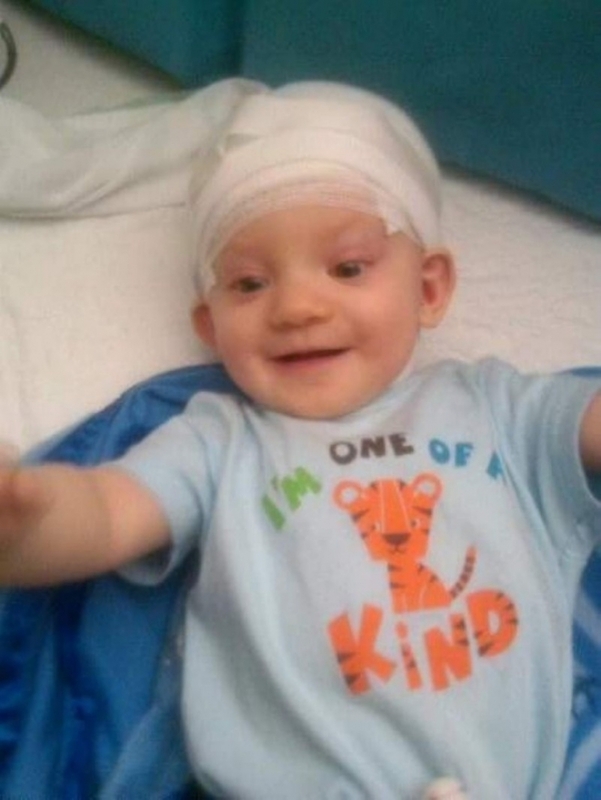 Liam’s parents spent the entire first year of his life fearful that their son might not wake up the next morning. For baby Liam, it was a lonely time. He was fighting against one of the rarest known syndromes and completely alone in the world. And then he received the best gift anyone could ask for: a best friend. Liam’s little sister Emma was born when Liam was one year old – the birthday that doctors predicted would be his first, and last. 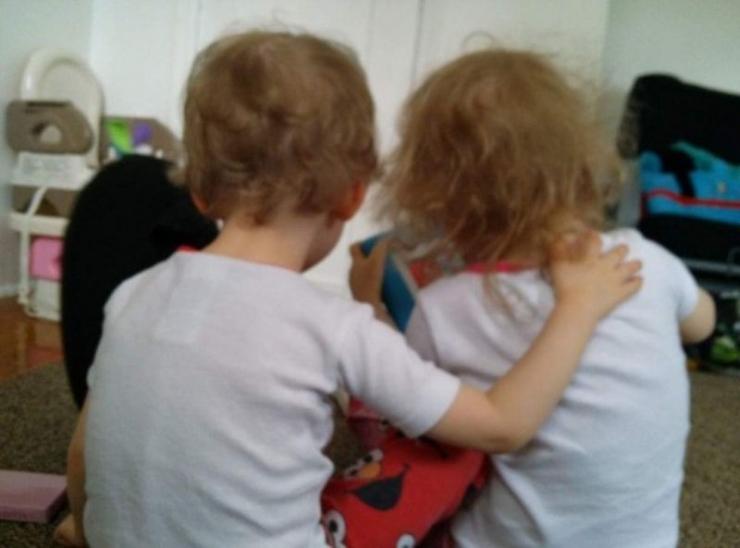 Immediately, the two siblings forged a powerful bond. So powerful, in fact, that Liam began to gain strength. He faced his therapy appointments with renewed determination. His loving family continued to support him, and Liam began to thrive. 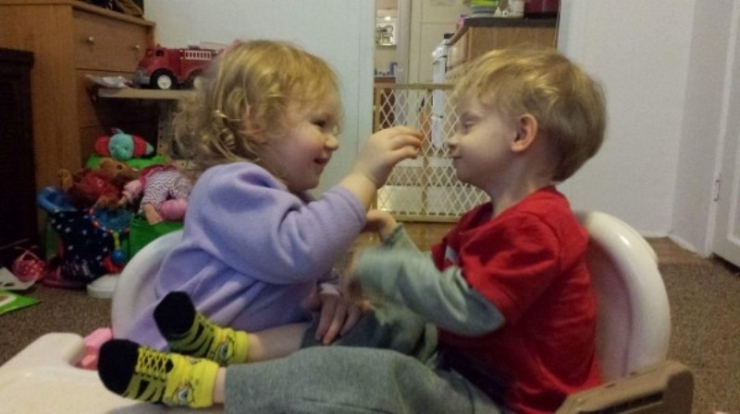 Liam and Emma both fall on the Autism Spectrum. 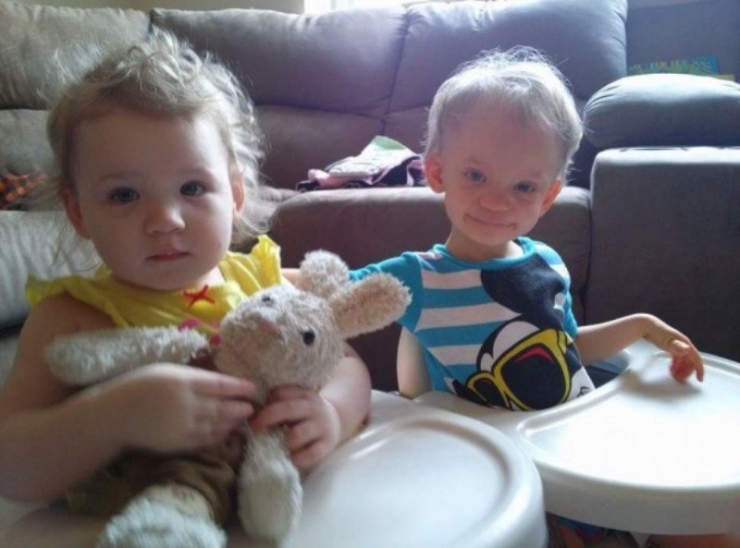 Emma, 2, also experiences Sensory Processing Disorder and Mixed Language Disorder. Having two children with disabilities does not come without its challenges, but mom Cheryl and dad Gary wouldn’t trade it for the world. They are rich in what’s important: they have a full and happy home. But with two special-needs children that demand full-time attention, Cheryl had to quit working and stay home. 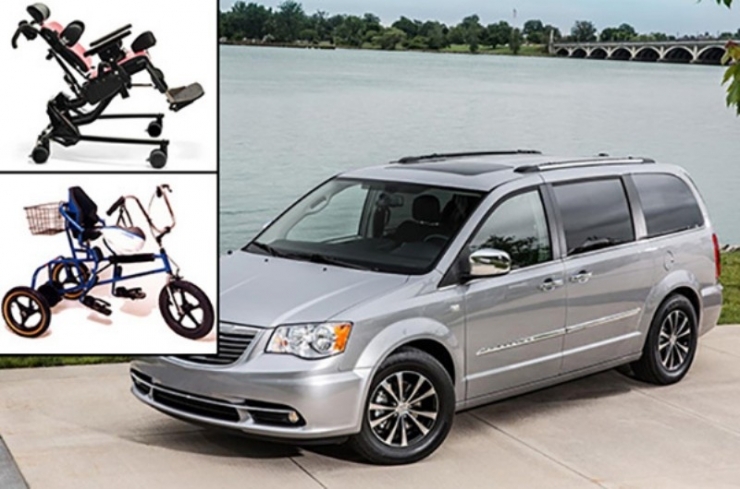 To make ends meet, the family has had to get by without a car. Currently, they rely on Cheryl’s mom to take the children to their appointments because they simply cannot afford to buy a car. 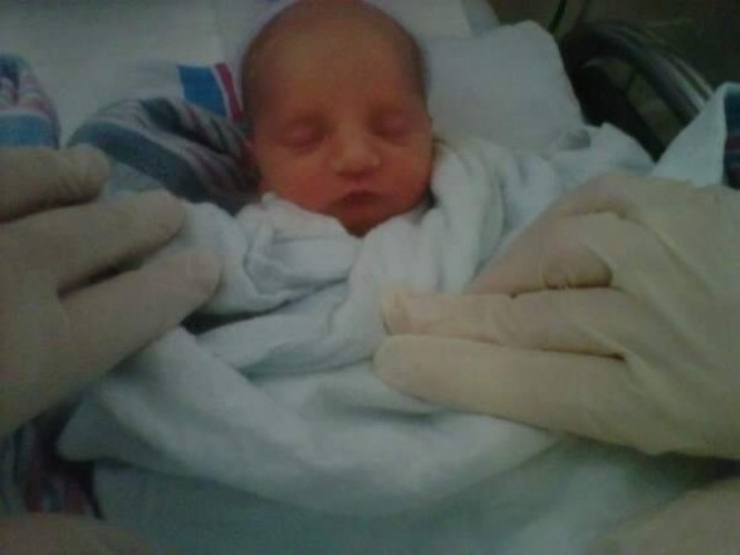 At birth Liam weighed only 4 lbs 6 oz. He was “the smallest baby I had ever seen” Cheryl told us. But the Donovans knew there was a strength in their son that was, in a word, disproportionate to his size. 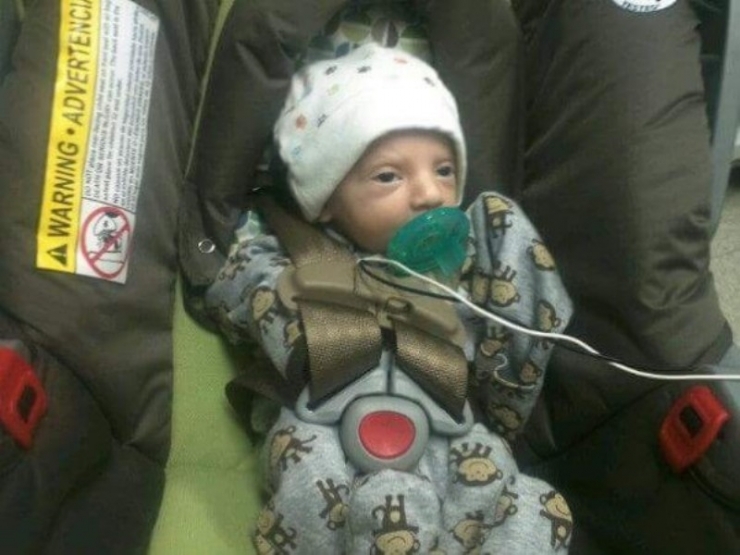 After 3 weeks in the NICU Liam was allowed to finally discharged from the hospital and allowed to go home. But his difficult journey had just begun. Liam with his support system: parents Cheryl and Gary. Liam has tolerated so much testing in his short life and he has smiled through it all. 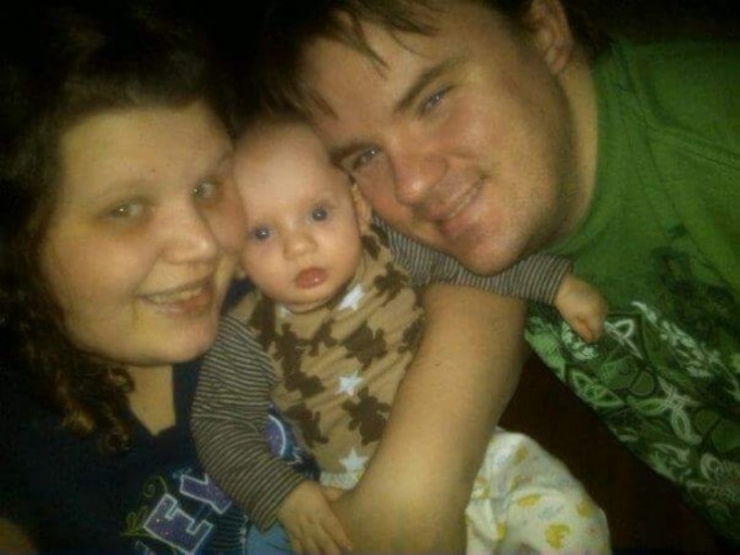 Unfortunately, this was the day he was diagnosed with Epilepsy and Complex Partial Seizures. Liam’s proudest moment! 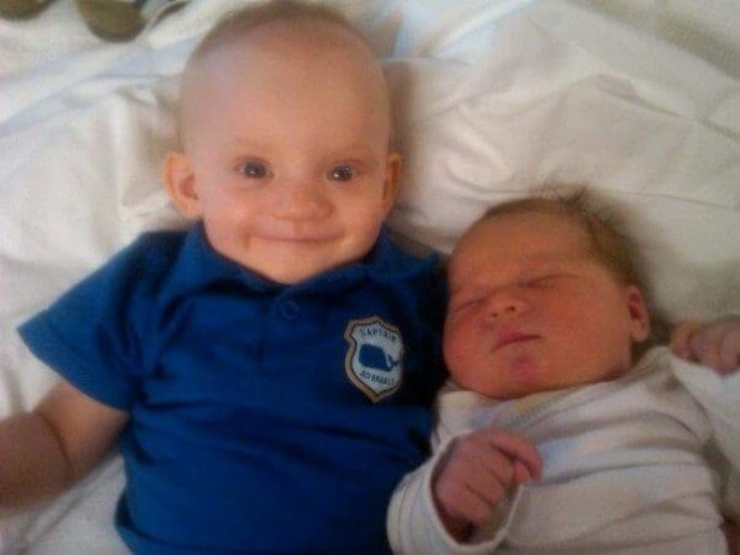 The day he became big brother to Emma Lynn, and welcomed his best friend into the world. These two depend on each other. Because of Emma’s Autism and her sensory issues, she doesn’t enjoy being around other children. But she loves interacting with Liam. She even tries to go with him when he goes to school! 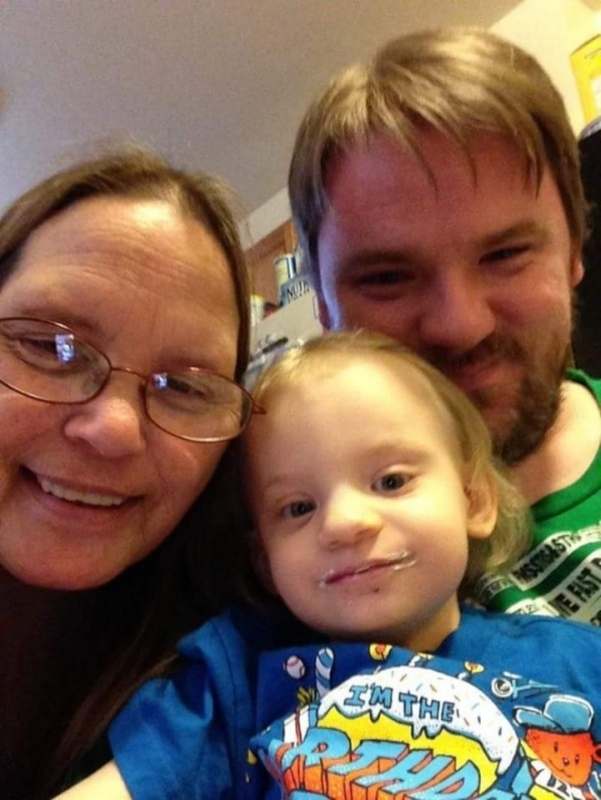 Liam celebrates his 3rd birthday with Nana and dad Gary! Shortly after this milestone, he took his first steps. 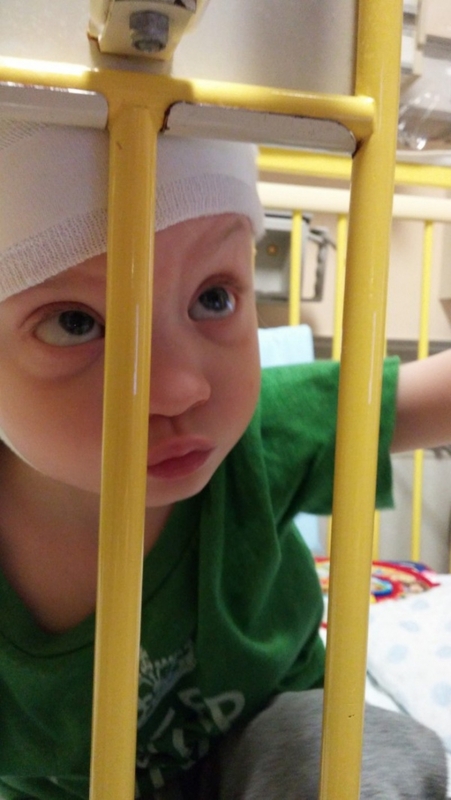 Liam enduring more EEGs, but he never grows frustrated or impatient. 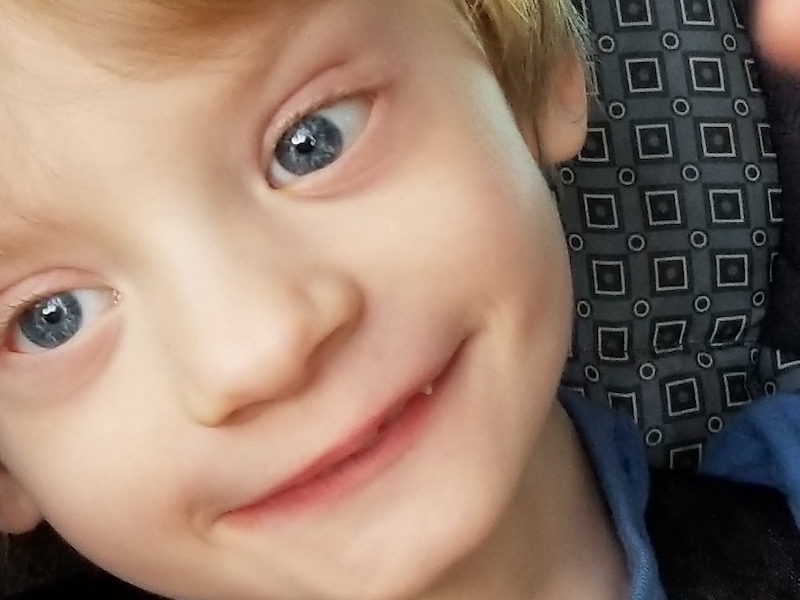 His family enjoys his “amazing and infectious giggle” and keeps hoping that all this testing may one day allow them to hear his sweet voice. If the Donovan family had transportation, they would have no more obstacles in finding Liam the absolute best treatment he could get. He could travel to see more specialists, more therapists, and focus completely on learning and growing every single day. So many more doors would open for this determined young fighter. He could get a real shot at the best quality of life, and the best quality of life is what we fight for. 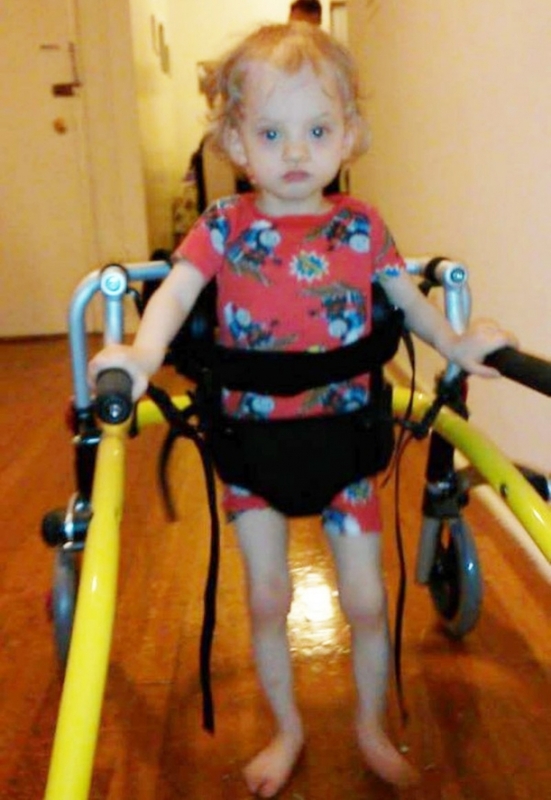 With a $26,000 grant, Chive Charities gave Liam and his family the gift of independence. For Liam, and Emma, this is a game-changer. They can seek treatment based on quality, not on proximity. There are no limits. And to ensure that Liam is equipped with the tools he needs to continue his unbelievable progress, we also purchased an adaptive tricycle and a Hi-Lo activity chair. Because even Liam, who has fought harder for his life than most, deserves to be a kid. No one knows what the future holds. For Liam, that’s especially true. 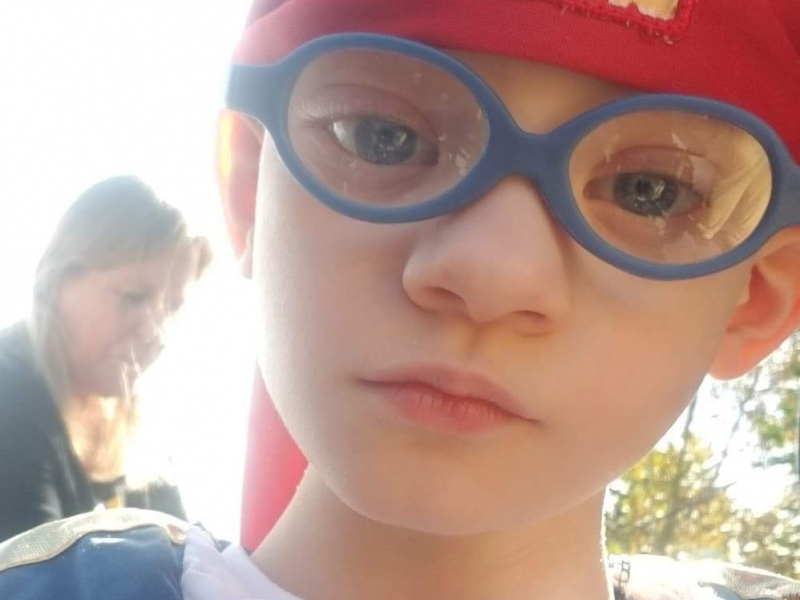 Because of his rare diagnosis, each milestone, each birthday, each holiday – mean that much more. This year as the Donovan family gathers around the table to enjoy each other, laugh, and make memories… their hearts will be a little lighter. The worries about their children’s future will be lessened, because now their son has the tools he needs to match his fierce determination. Because they will be able to provide their children with the best possible life, with limitless options for treatment. Because they found a community that believes in making the world a little happier. And if that’s not the epitome of what the holidays are about… we don’t know what is. Each time we change lives like Liam’s, our members are directly responsible. To help make the world 10% happier, become a Chive Charities Member HERE.